Would you disagree with improving the energy efficiency in your home while increasing home value and receiving a portion of the cost back? Many homeowners would agree that energy-efficient home improvements are worthwhile when adding the financial and personal benefits, which is why energy-efficient home upgrades have become more popular in the last decade. Improving energy efficiency has become more than the trend to be environmentally-friendly. With benefits like saving money over time and even helping to preserve certain aspects of the home, these upgrades are not only deemed worthwhile but often necessary. Additionally, there’s another bonus that appeals to homeowners – tax credits to cover a percentage of the cost of qualifying equipment. Whether you’re looking to upgrade to an environmentally-conscious car or you never want to pump gas again, purchasing an electric vehicle can snag you a tax credit. The federal government is offering financial incentives to lower the upfront costs of plug-in electric vehicles. Make sure you check the availability to claim this particular credit, as it is limited to a certain number of electric vehicle makes and models sold. If you decide to purchase a plug-in electric vehicle, you’ll need an EV charger for your home. Colvin Electric is familiar with residential electric vehicle charging stations for all makes and models, including installation and service. However, if you plan to purchase a certain model, such as a Tesla, you’ll want to ensure the company hasn’t already hit the 200,000 limits to claim a tax credit. Does your home improvement list include powering your home with solar panels? Whether you’re interested in using clean, renewable energy or want to save yourself from climbing utility rates, solar panels are becoming a more popular option for homeowners. The biggest benefit is that homeowners can still claim a tax credit in 2018 and onward, but 2018-2019 is when you can still get the highest tax credit percentage – currently at 30% of the cost of the system. In 2020 and beyond, the percentage a homeowner can claim back will be reduced. There are several other systems homeowners can purchase that count as energy efficient home upgrades and still claim a tax credit to receive a percentage of the cost back – including wind turbines, using wind power to generate power to your home; fuel cells for residential use primarily used as backup power generation (they must use a renewable energy source to generate power); and geothermal heat pumps – a ground source heat pump that transfers heat from the earth. 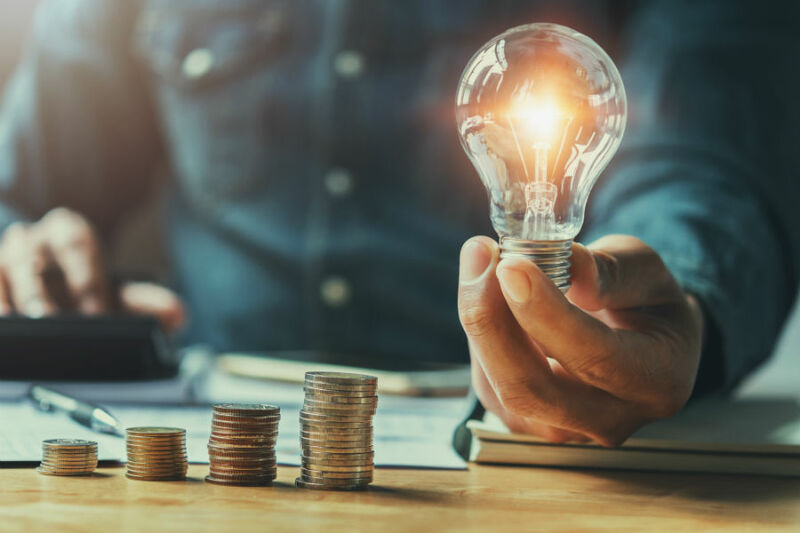 Although these options are less common for homeowners, if you’re thinking about increasing energy efficiency through any of these systems, it’s better to act sooner rather than later, as the tax credit will decrease over the next few years. If you’re ready to make energy efficient upgrades, such as electric vehicle charger installation, switching to LED lighting solutions, installing ceiling fans and more, contact Colvin Electric for your residential electric service needs!